Have You Become Complacent with Your Gazelle Intensity? 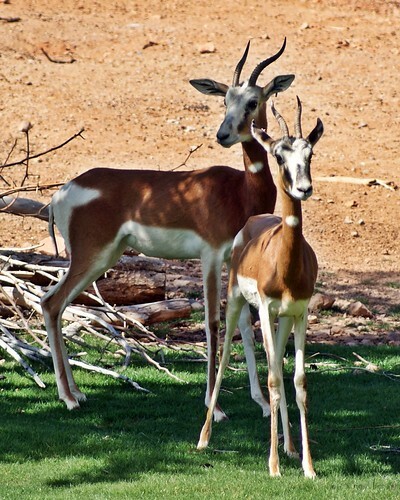 If you have tens of thousands of dollars to pay off, gazelle intensity can be exhausting. You can easily begin to feel sorry for yourself and lament all of the things you have to give up and sacrifice when paying down debt. We started our journey to be debt free on October 20, 2011. Our debt was a mind-numbing $57,966.01. In the 7 months since then, we have paid down almost $10,000. (We are sitting right around $48,000 now.) I am proud of our progress, but we have reached the point where the journey is getting long and difficult. Gazelle intensity has lost its luster. While we have no intentions of adding any new debt, we sometimes want to slow down and enjoy life. I don’t want to work so hard all the time; I want to spend money on treats sometimes. And just like that it happened. The lifestyle creep began. We had been not been spending any money on eating out, and in May we spent nearly $200. Yes, I don’t think that seems like gazelle intensity either. My kick in the pants came when I read on Yahoo! that Joe Mihalic recently paid down $90,000 in student loan debts in 7 months. Seven months! That is nearly $13,000 a month. Intrigued, I read more about his story on The Huffington Post. While we are generally frugal, we slip up and spend too much money on groceries and other expenses (such as our unnecessary trips out to restaurants this month). There is still some fat in the budget, and that fat can be cut and funneled toward our debt repayment. We still have room to improve. Sometimes when you are tired and are immersed in your debt repayment, getting out of debt can feel hopeless. You can feel like the debt will never go away, and you can start to doubt yourself and the sacrifices you are making. In times of doubt, read stories like Mihalic’s to see that gazelle intensity does work. He made it through to the other side. You can, too.